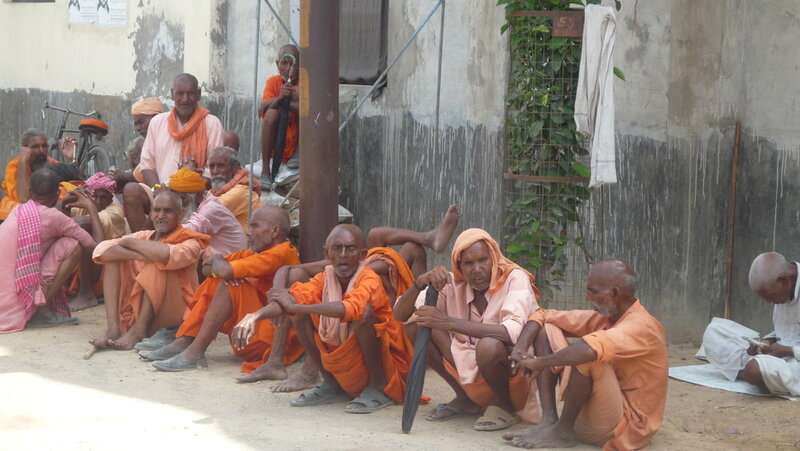 Sadhu seva — Who are we? Sadhu seva, or Vaishnava seva, refers to serving the lords dear devotees who have dedicated their lives to his loving devotional service. At the ashram, as well as serving the resident mothers, we also serve the sadhus, or wandering monks, of Vrindavan by offering aid. This includes food, clothing and medical treatment. "With the dust of My devotees' lotus feet I desire to purify the material worlds, which are situated within Me. Thus, I always follow the footsteps of My pure devotees, who are free from all personal desire, rapt in thought of My pastimes, peaceful, without any feelings of enmity, and of equal disposition everywhere". Similarly, in the Padma Purana, there is a statement praising the service of the Vaishnavas, or devotees. Lord Siva tells Parvati, "My dear Parvati, there are different methods of worship, and out of all such methods the worship of the Supreme Person is considered to be the highest. But even higher than the worship of the Lord is the worship of the Lord's devotees".